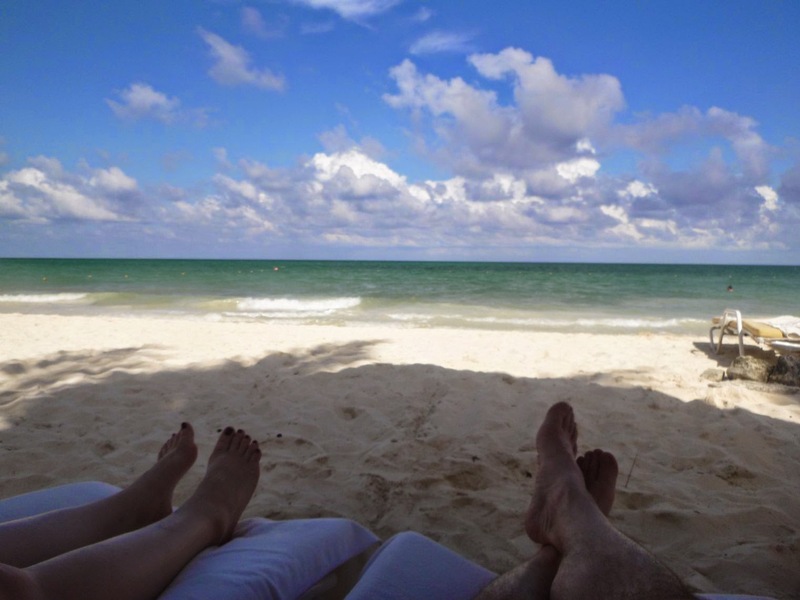 We take some variation of a Mexico beach vacation every August and it is always a great way to end the summer. Some things we repeat but we are always in search of new adventures in an effort to keep it challenging. 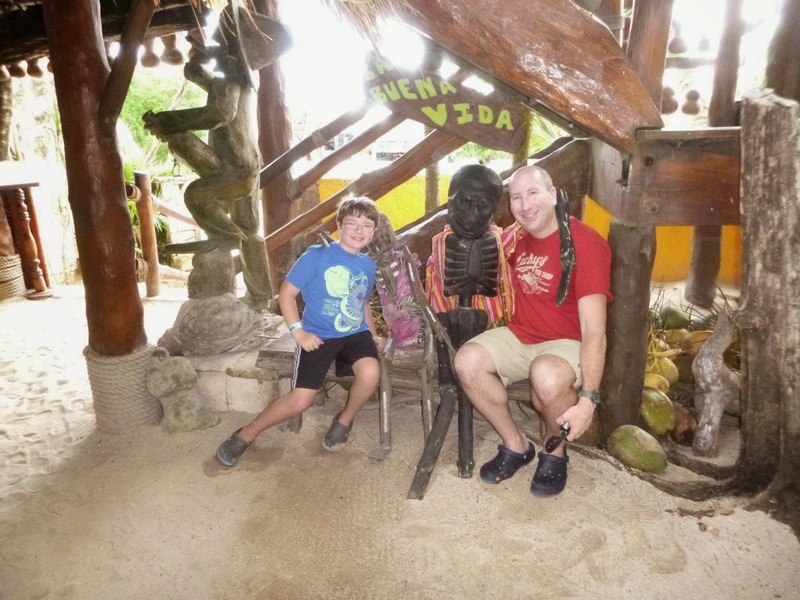 After dozens of Mexico trips we are always learning about new things to do and places to visit. 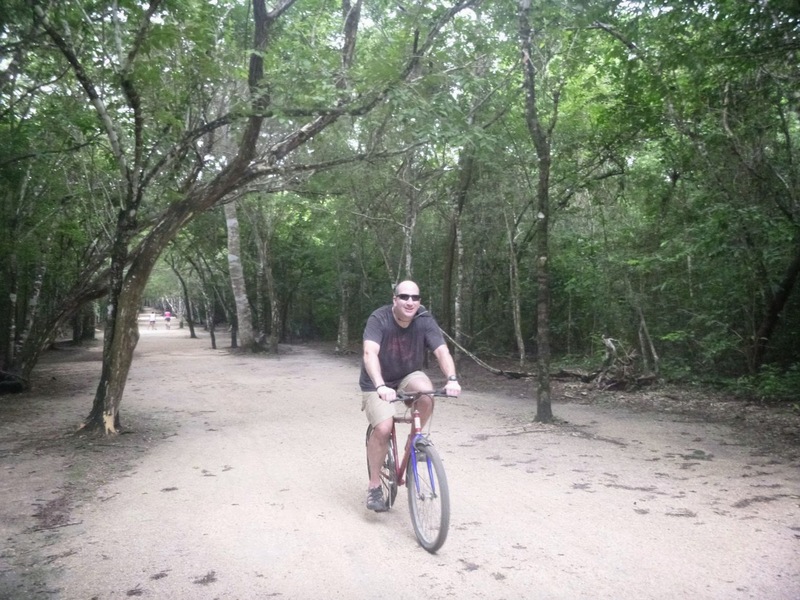 There are always many things to do outside of locking yourself up in a beach resort and the best things are located right outside the front gate of your resort. 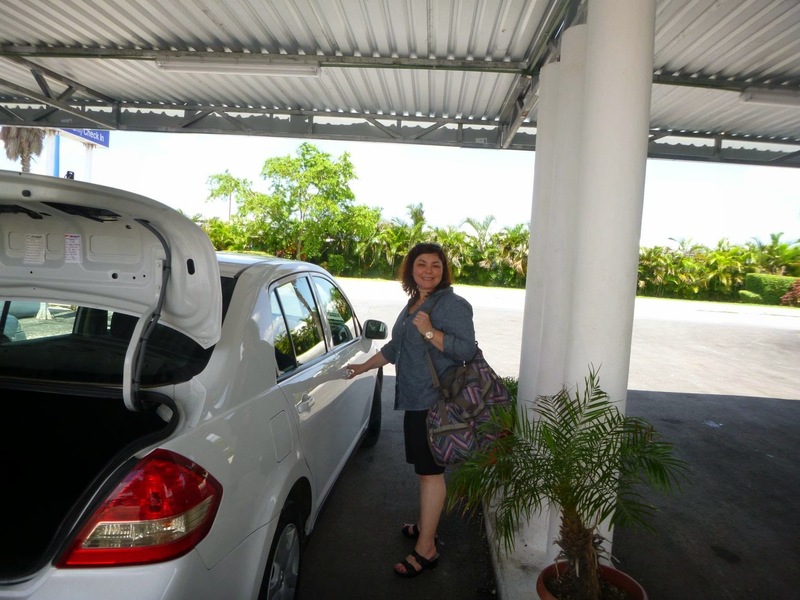 First thing is get a car at the airport but make sure you take the rental company insurances. Unlike the United States the rental car companies will look your car over carefully to seek out any damage. Even though it makes it more expensive the peace of mind is worth it in case of theft or accident. It still is cheaper than hiring a driver and the freedom is worth a lot. 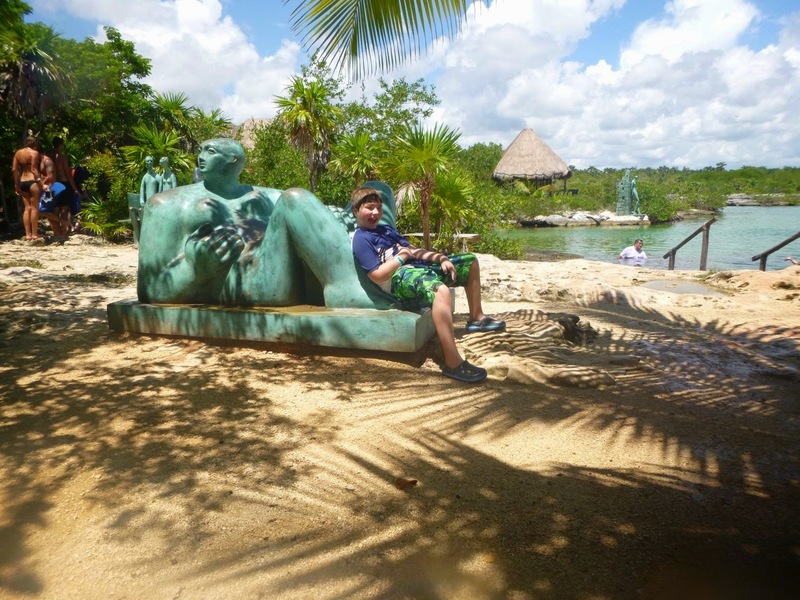 It is important for us to seek out a good balance of adventure, culture and relaxation. 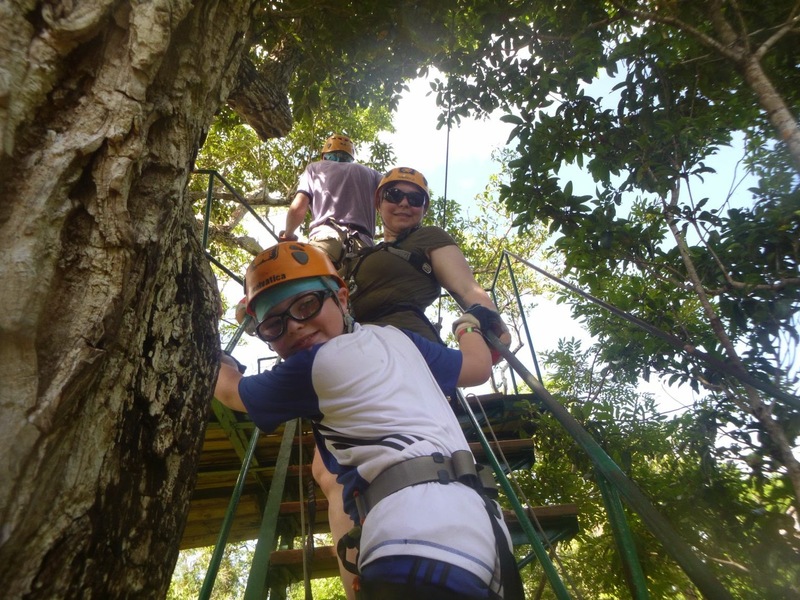 For the adventure part of the trip we went to go zip lining at Selvatica which is located in Puerto Morelos. 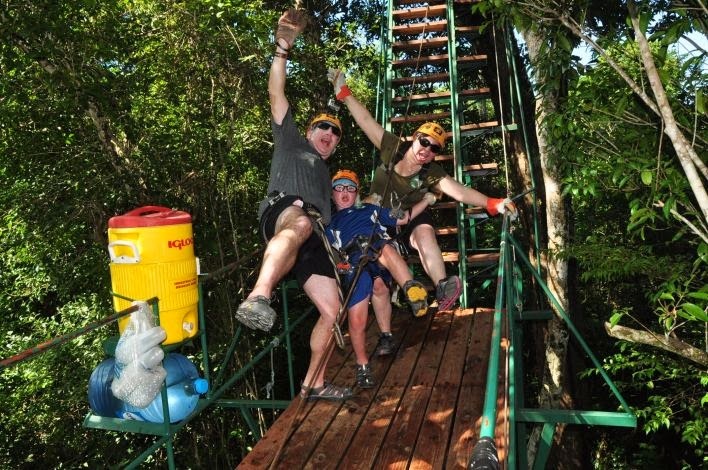 After a brief orientation we got suited up and climbed up the ladders into the canopy. 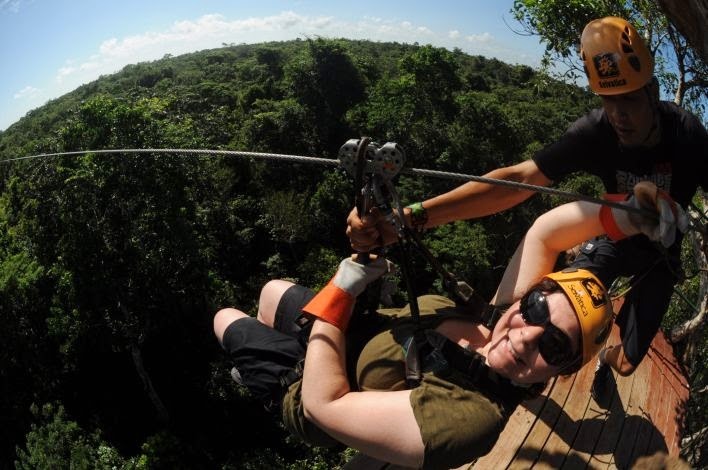 Even when you are not zipping you are tethered into a safety rope so you are never in danger of falling. Everyone was friendly and very safety focused. 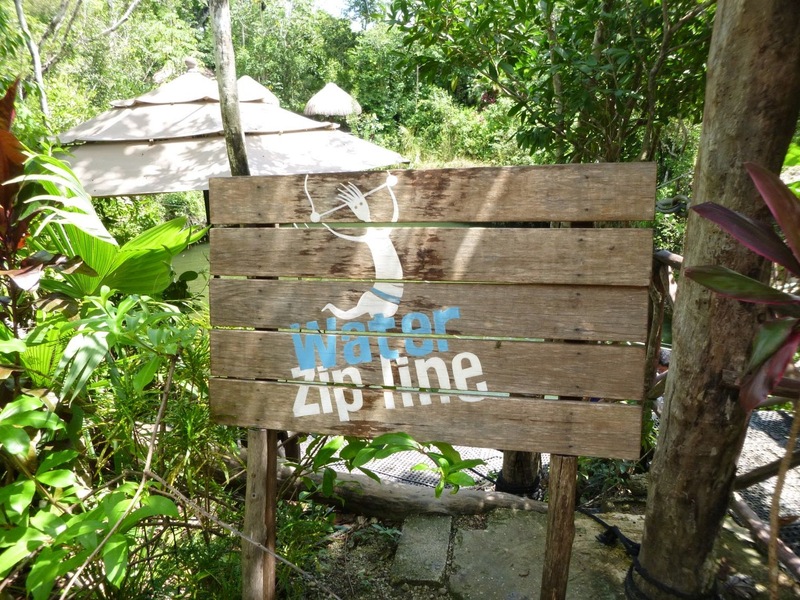 After completing all the stations they took our group over to the water zip line where you can ride a zip line and drop into a cenote, jump off a 15' platform or just swim around. Life preservers are available for non swimmers. 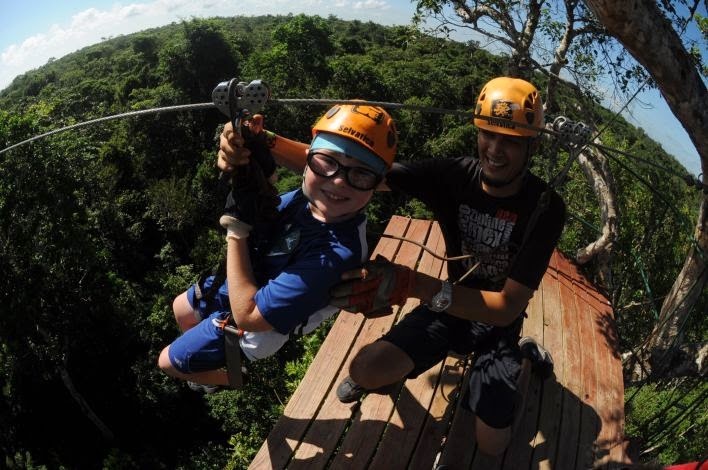 At first Elliot didn't want to jump or zip but he eventually built up come courage and after that first leap he was unstoppable. 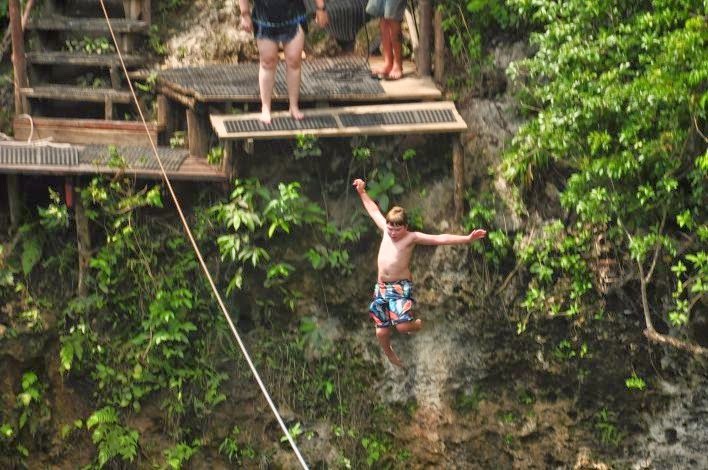 He must have jumped off of this platform at least a dozen times. After drying off we changed back into our clothes and said goodbye to our guides. 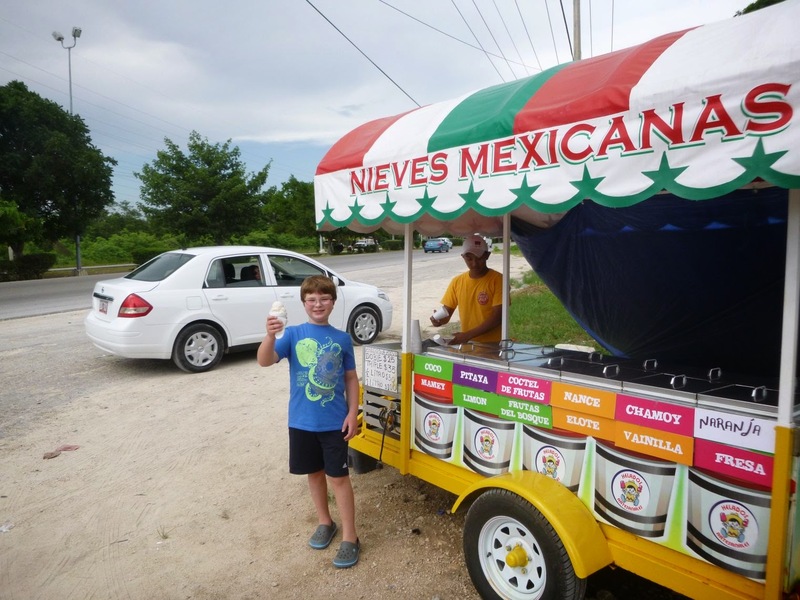 Roadside Mexican ice cream. 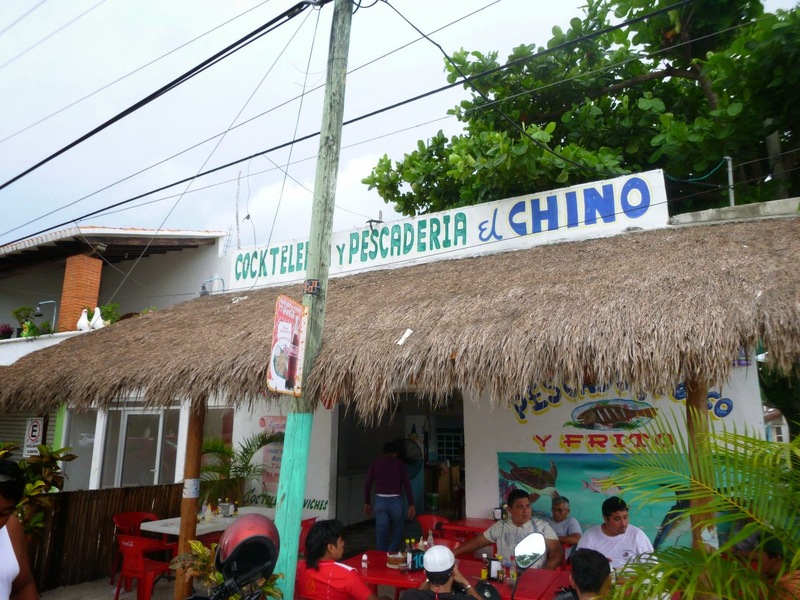 We passed this place every day and visited several times to try new flavors. 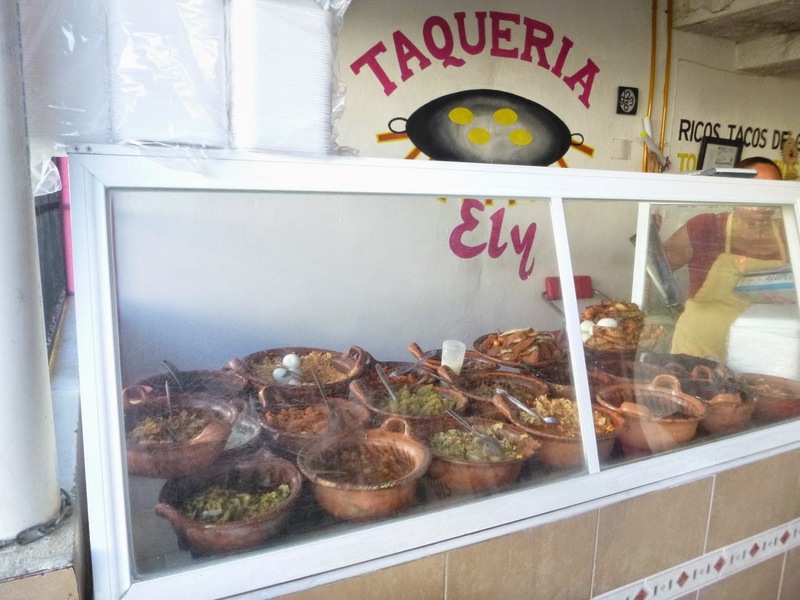 Breakfast tacos at Taqueria Ely in Puerto Morelos (this is on the north bound lane of Highway 307 at the exit to Puerto Morelos). 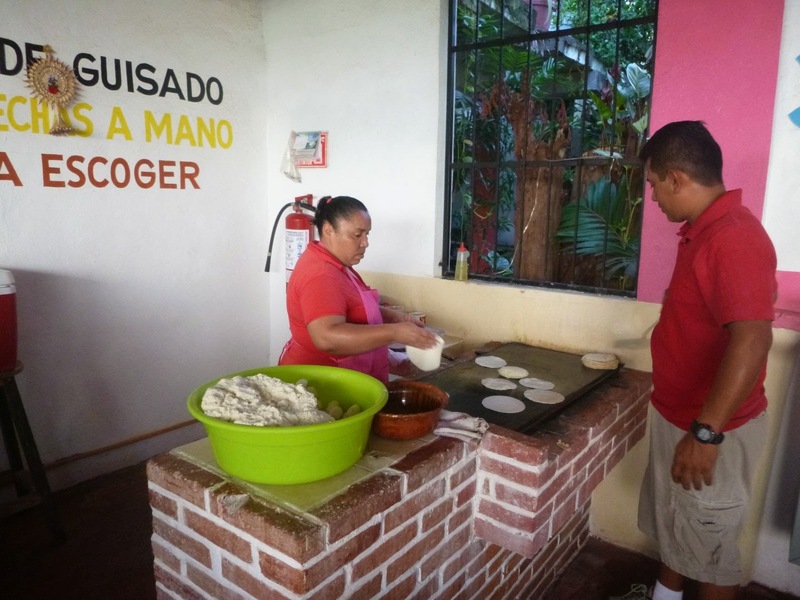 At least a dozen fillings all stuffed in hand made tortillas that are fresh off the grill. If you are eating a cheese omelette at the all inclusive you are missing out. Categorize this under adventure or relaxation. 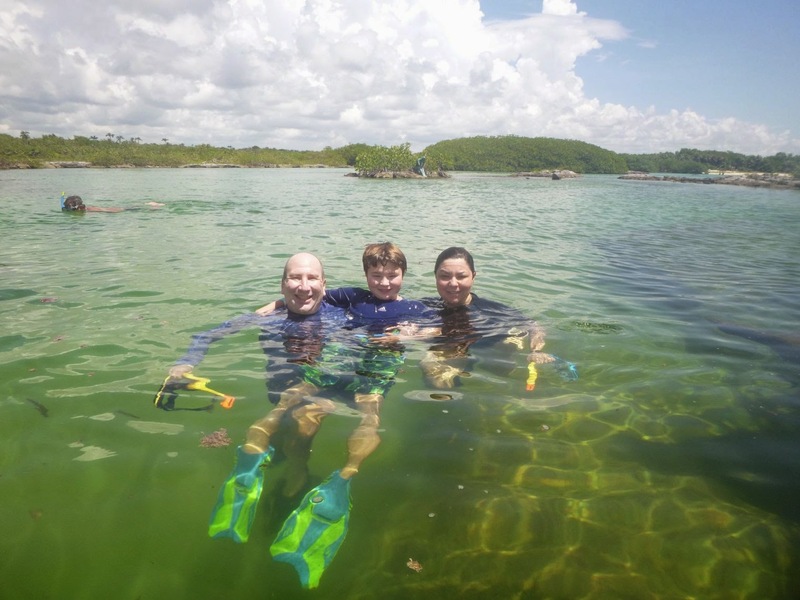 We returned to one of our favorite snorkeling sites in Akumal to snorkel Yal-Ku Lagoon which is a protected lagoon that is perfect for snorkeling with kids. 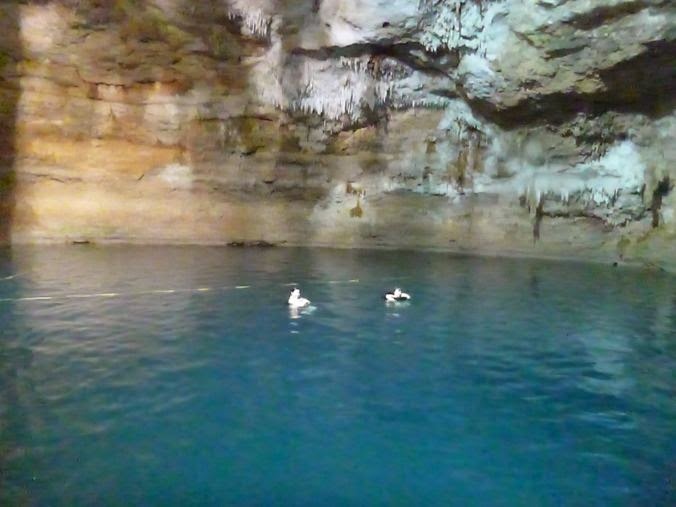 If you visit here be mindful that the water can be a little cold because fresh water is entering this lagoon from underground cenotes. 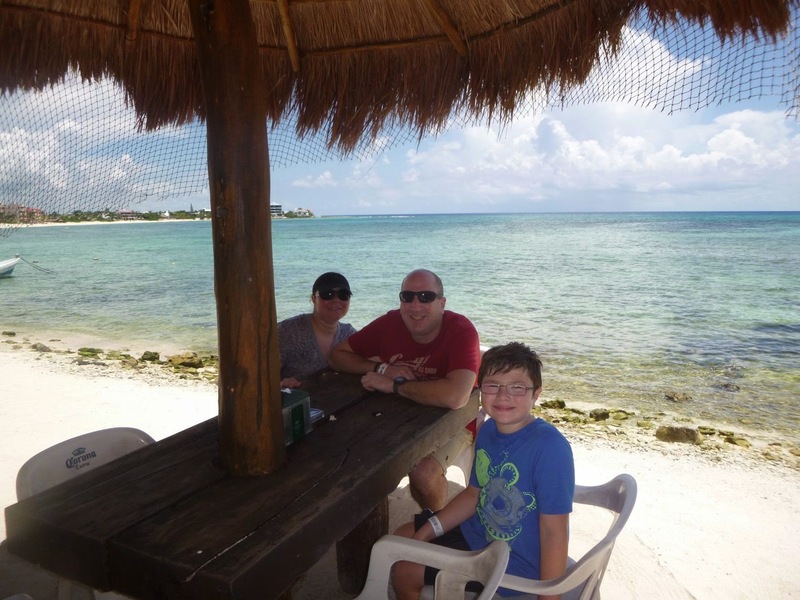 After snorkeling we had a nice relaxing lunch on the beach at Buena Vida. 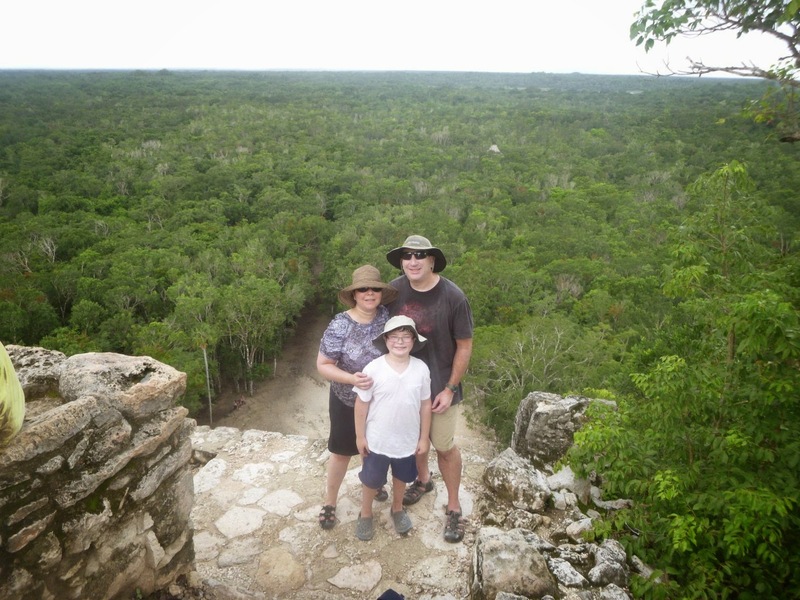 For the culture/history part of the trip we went to Coba which is an ancient Mayan city, about a 90 minutes drive from Playa Del Carmen. 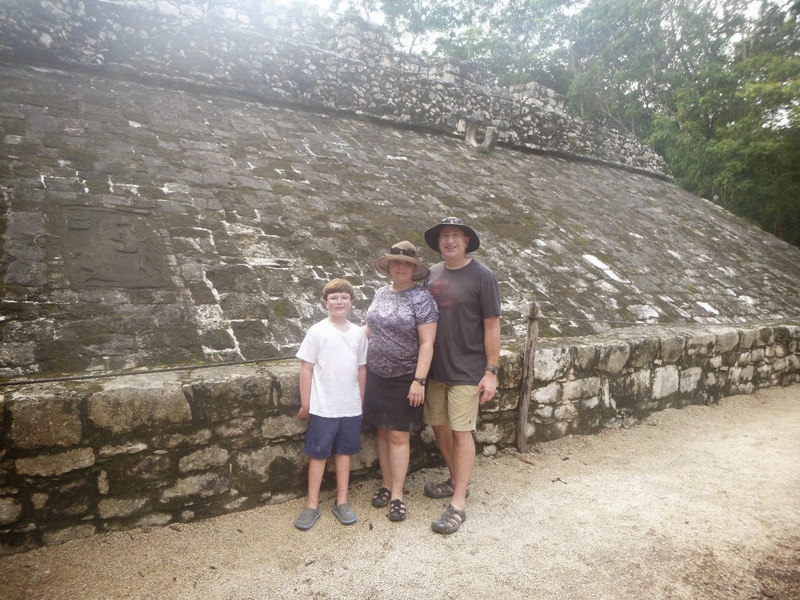 Unlike some of the other Mayan cities the main structures here are quite far apart. You can certainly walk it but we preferred to rent bicycles (as most people do) which were only a few dollars. 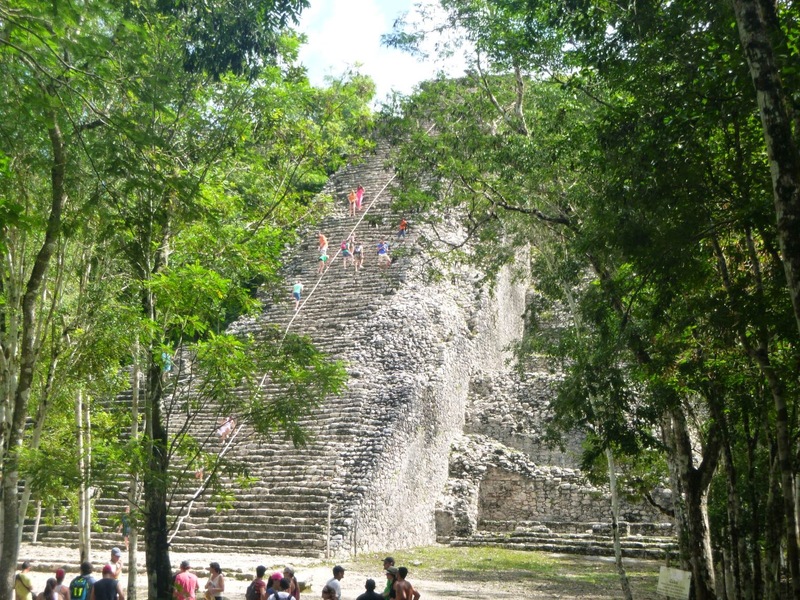 The main pyramid at Coba is 130 very steep and irregular steps to the top. 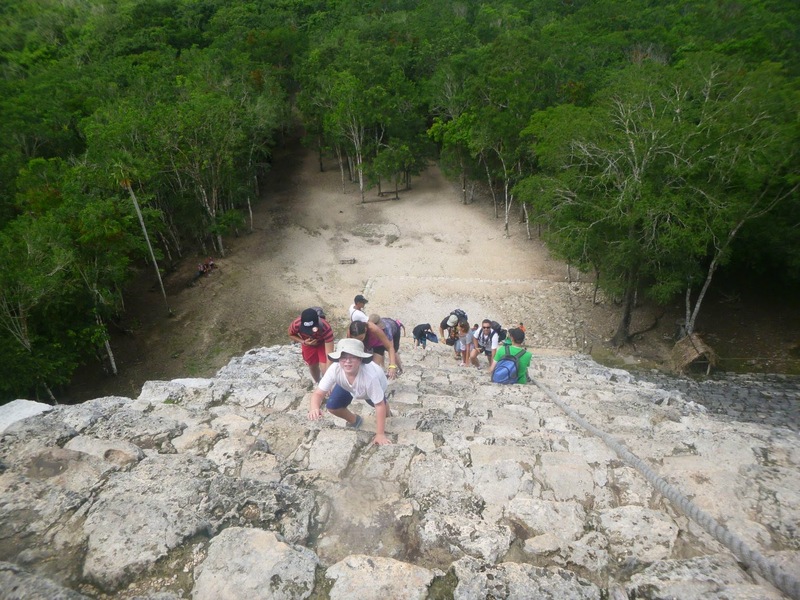 Unlike Chichen Itza you can still climb to the top. 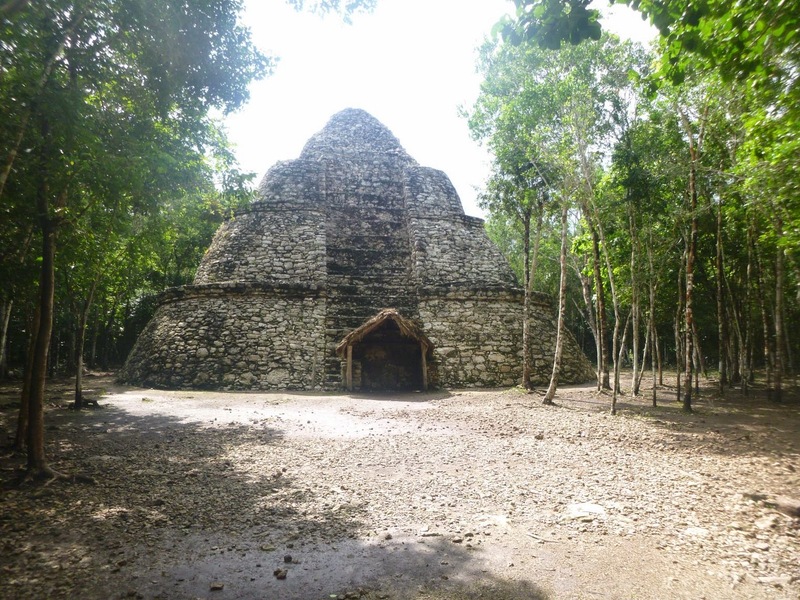 The main pyramid at Coba is about 140 feet high and offers amazing 360 degree views of the surrounding jungle. Climing the pyramids is a lot work, especially in August. On the way back we stopped for a swim break. 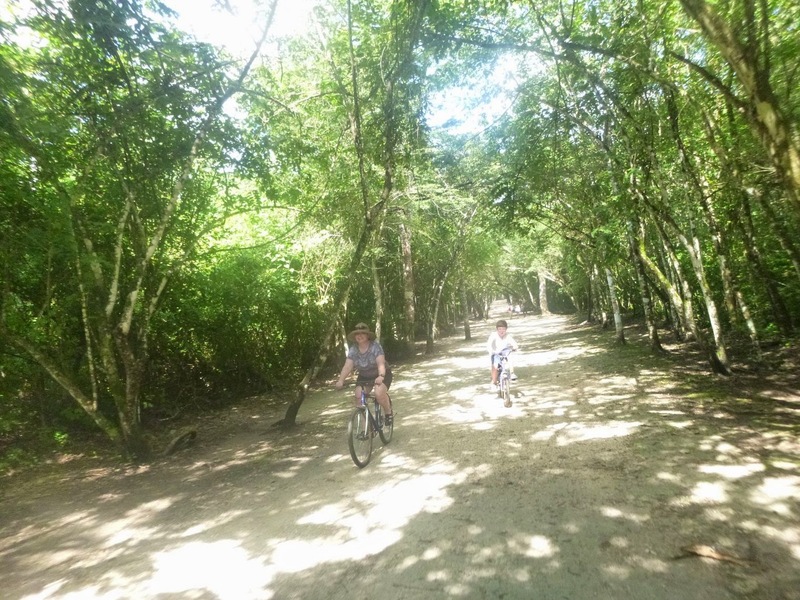 Just a few miles from the Coba sitie is a complex with three cenotes. 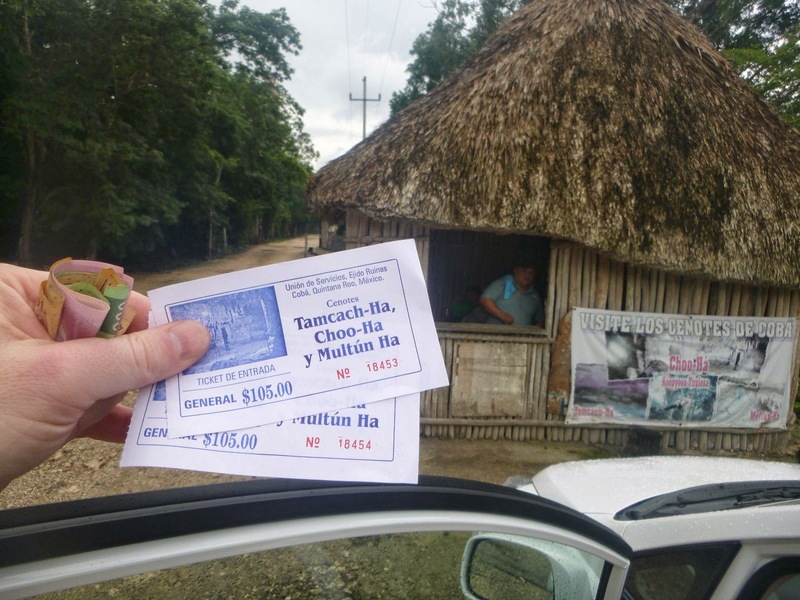 We bought a combo ticket to visit all three (Tamcach-Ha, Choo-Ha and Multun Ha) for about $9. Kids are free! 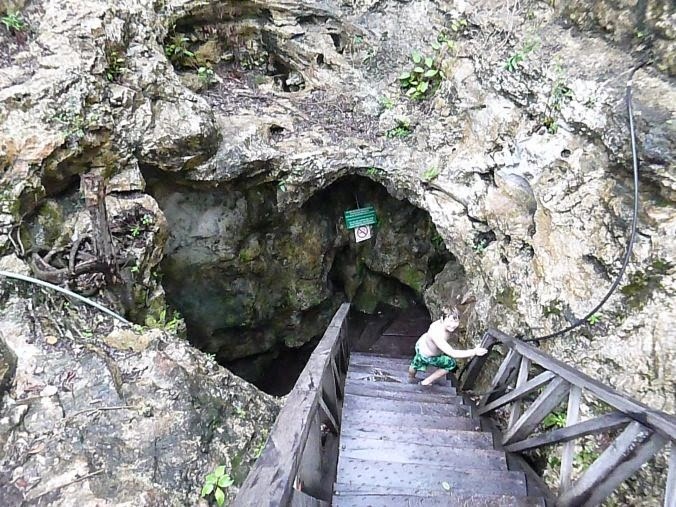 After a climb down some very slippery wooden stairs you enter a giant cavern with beautiful blue water. 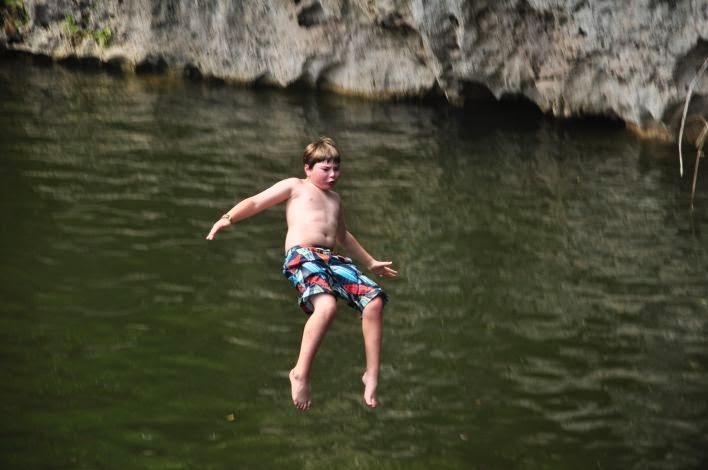 The water is cold but very refreshing. 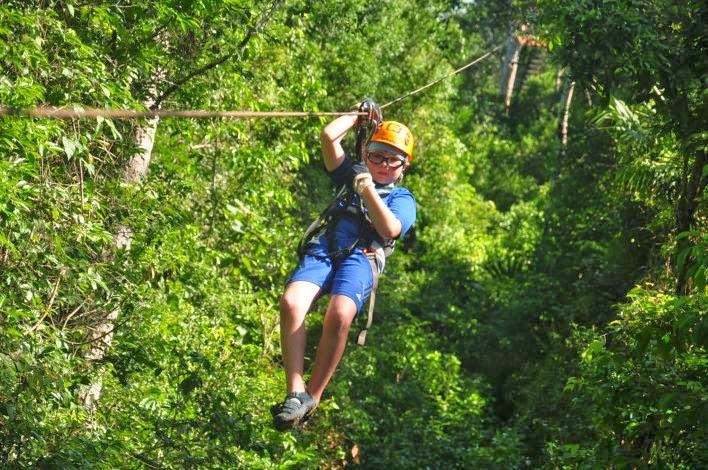 At the Coba archiological site there is a single zip line that goes over Coba lake. 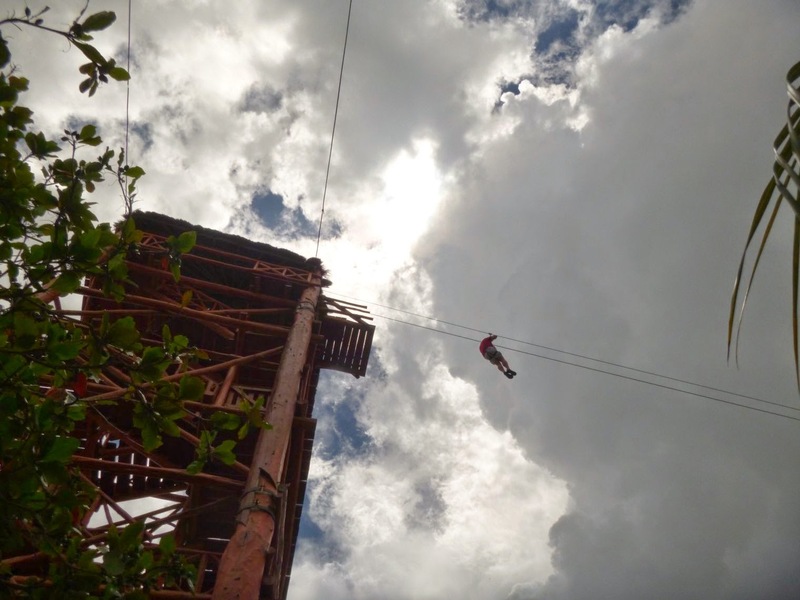 It starts at 125 feet and zips you 500M down to the bottom. 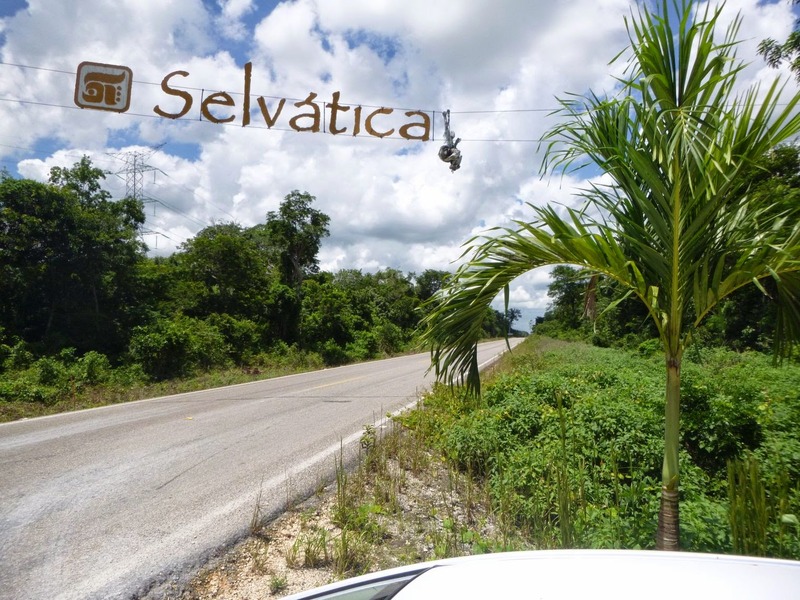 It is only a one way trip but they pick you up in a truck to take you back to the starting point. 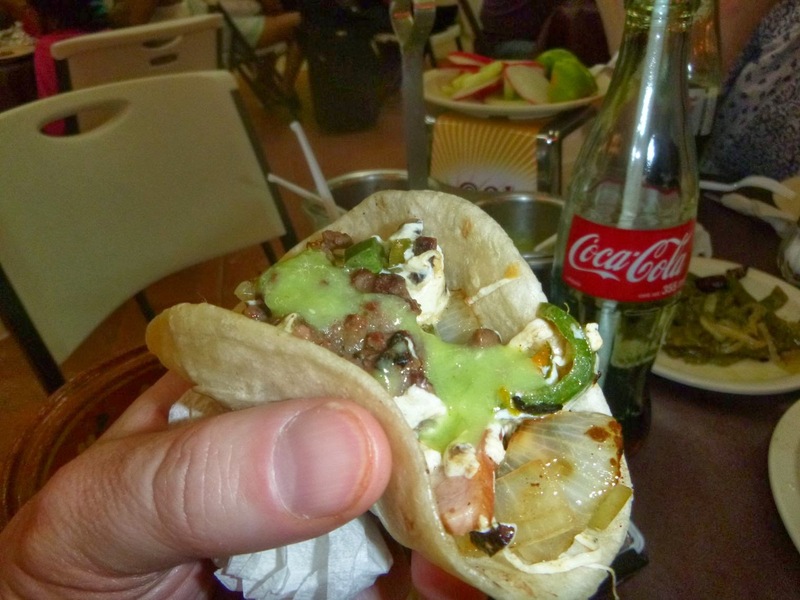 Tacos are typically served early morning or late at night. 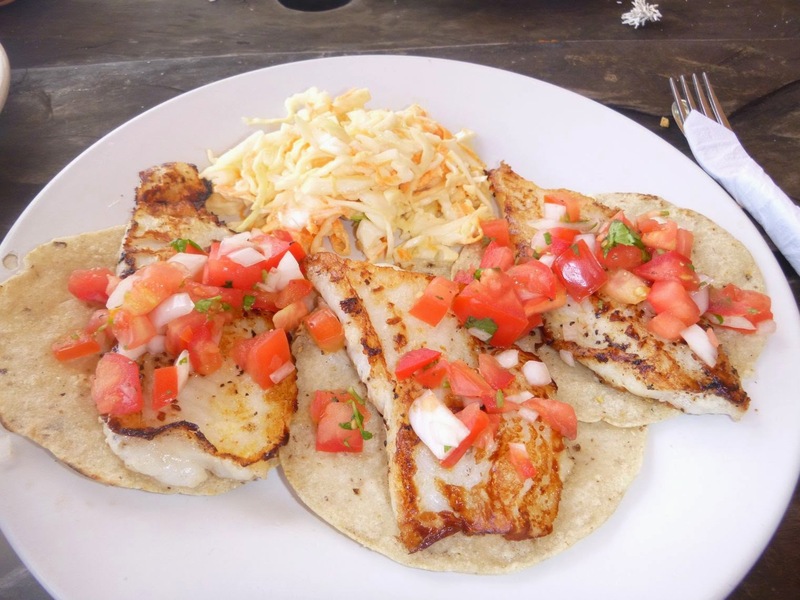 The specialty of the afternoon is seafood and mid-day all of the seafood restaurants will be open and busy. 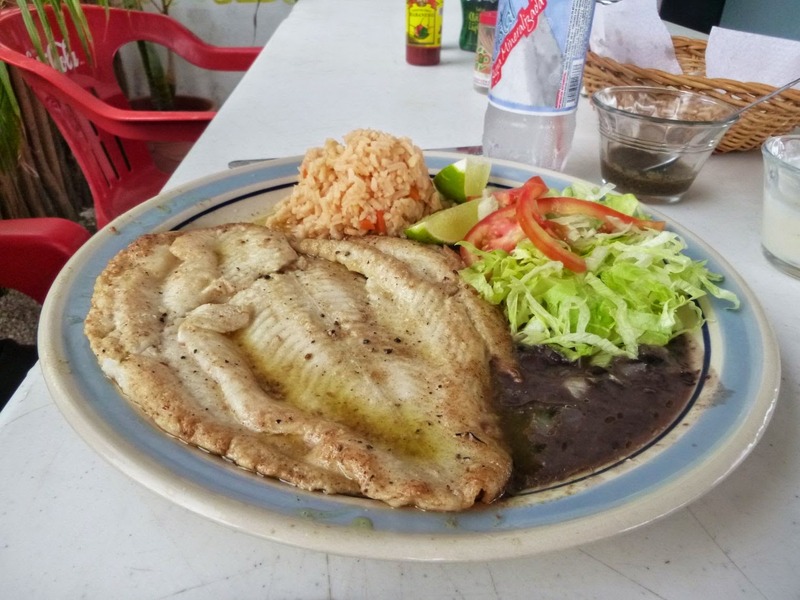 Simple grilled fish but amazing and very inexpensive. 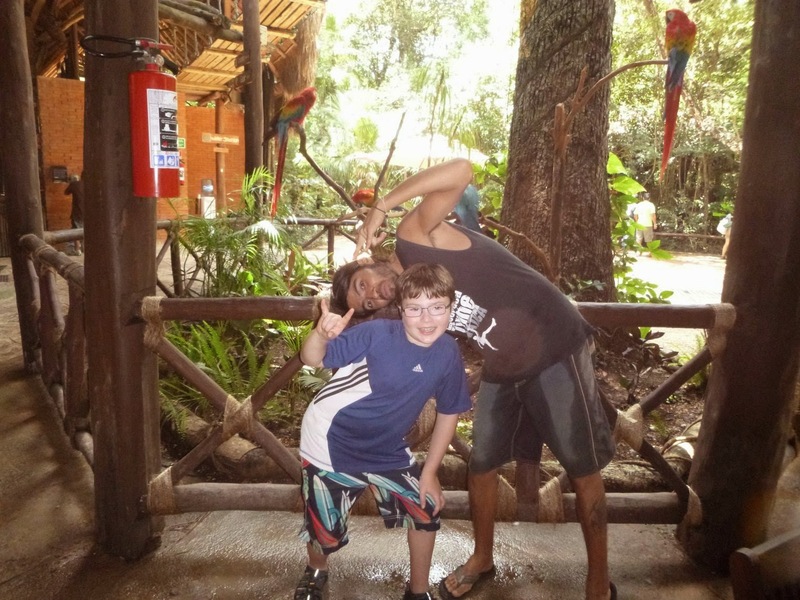 As we already mentioned we are always learning new things with each trip. These are alambres which is basicaly a DIY Mexican cheese steak kit. 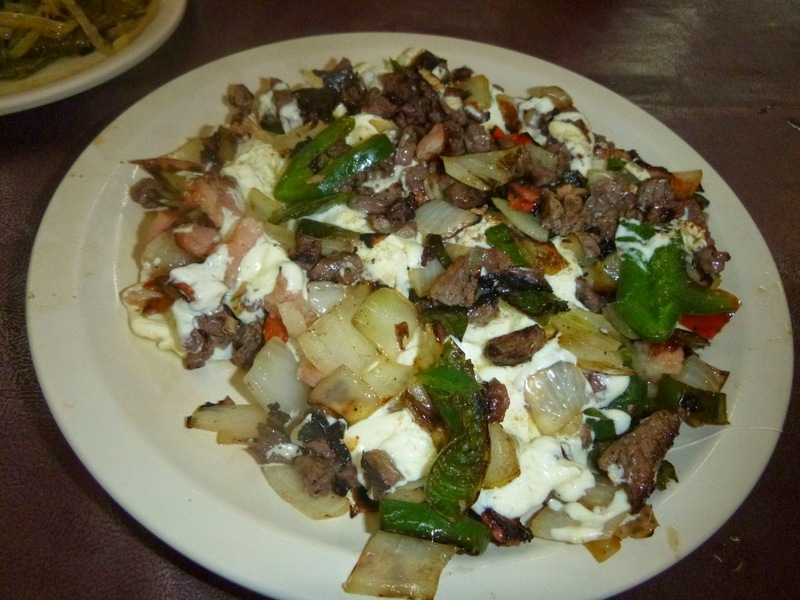 The variation we ordered was grilled steak, onions, spicy poblano peppers and melted cheese. We can't beleieve we never knew about this. Of course we got some relaxation at the beach. 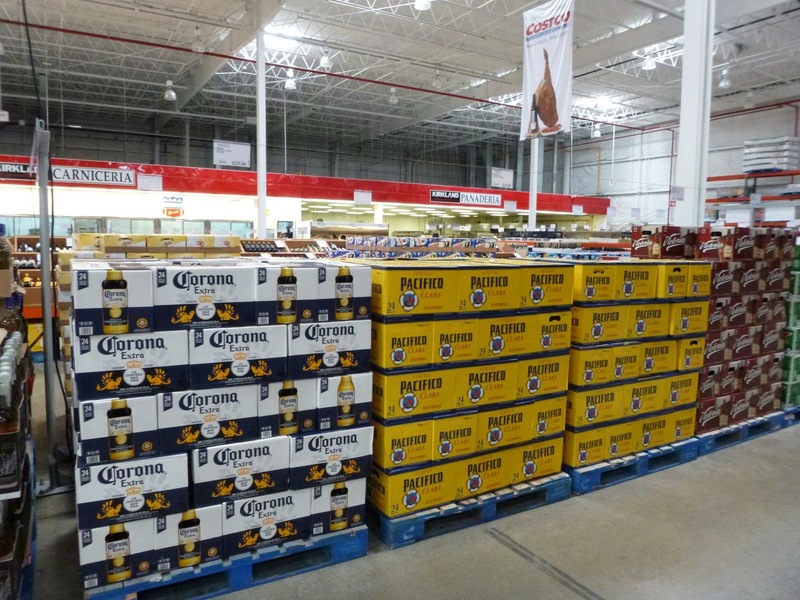 What's the difference between Costco in Mexico and the US? Not much but the domestic beer selection is much better in Mexico. The food court is pretty much identical also. 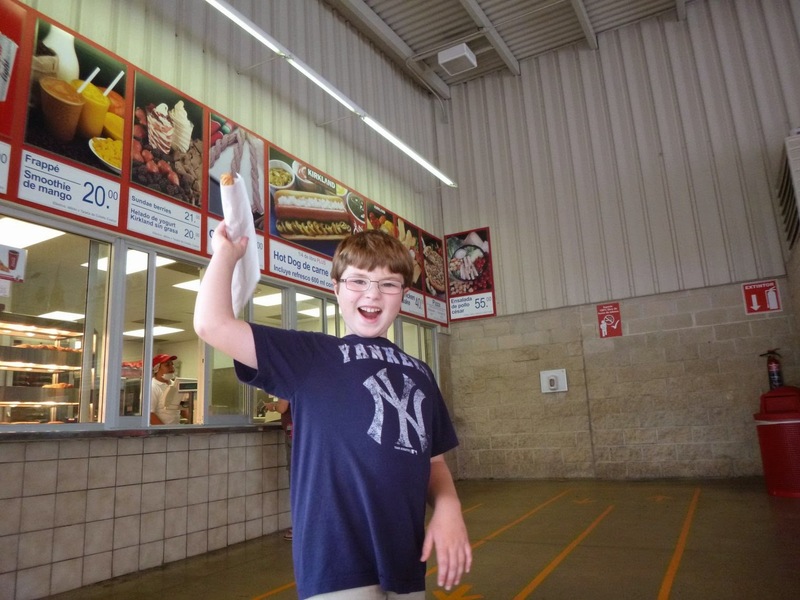 They even have Churros.